“Pirates of the Caribbean: On Stranger Tides” is among the noisiest, longest, most pointless and tired films of the year thus far. In this, the fourth chapter in the saga of Capt. Jack Sparrow, our hero once again narrowly escapes the gallows before heading off across the bounding main, this time in search of Ponce de Leon’s long lost Fountain of Youth. Alas, circumstances force Jack to join forces with Blackbeard (with all his magical powers, why exactly does this guy need a crew?) and his daughter, Angelica (Penelope Cruz), who once-–ahem—knew Jack back in the day. The actress, who was pregnant while making "Pirates of the Caribbean: On Stranger Tides," explains why she'll never forget the experience of making the movie. For more exclusive videos go to AccessHollywood.com. By the third time Capt. Jack asks for someone to clarify “the ritual” necessary to make the magic of the Fountain of Youth work, any sane person is past the point of caring. Director Rob Marshall made his name in theater before making his feature-film directorial debut with “Chicago,” which earned 13 Oscar nominations, including one for his direction. But on the high seas, Marshall appears to be in way over his head, failing to understand that even in the lowbrow world of action films, you can’t convey drama simply by cranking up the score. He also doesn't realize that the more you fall back on volume, the less effective it is. Similarly, all those sweeping panoramic shots of the various ships and landscapes become progressively less majestic. If he’d cut out three-quarters of them, he’d have made a far better film and gotten us all home about 15 minutes earlier. 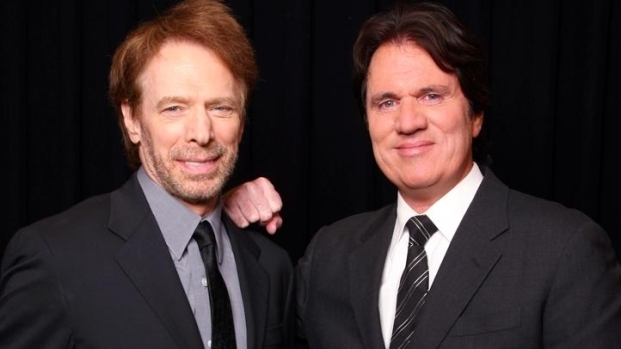 Producer Jerry Bruckheimer and director Rob Marshall discuss the exotic locations where the next "Pirates Of The Caribbean: On Stranger Tides" movie was filmed, including Hawaii and Puerto Rico. They also chat about how they hid Penelope Cruz's pregnant belly throughout the filming process and whether there will be another "Pirates" movie in the future. Then there are the mermaids. Let’s just say that if last year’s “Piranha” tickled your funny bone, the mermaid attack in “PotC” will have you rolling in the aisles. And here’s a tip for anyone trying to make a mermaid cry: just tug on a nose hair, it doesn’t have to be such an acrimonious affair. Depp has been doing Capt. Jack for four films now, spanning nearly a decade, and it shows. The tics, feints, eyes, facial contortions… we’ve seen it all before. In the absence of a great script and director, it feels like little more than mugging. And Keith Richards’ cameo as Sparrow’s father is a disappointment, as well, with the aging rocker nearly unrecognizable under a mountain of latex and acting less like himself than Depp is. But the absolute worst, most depressing part of “Pirates of the Caribbean: On Stranger Tides” is that by the film’s conclusion, all the pieces are put in place for a fifth installment. 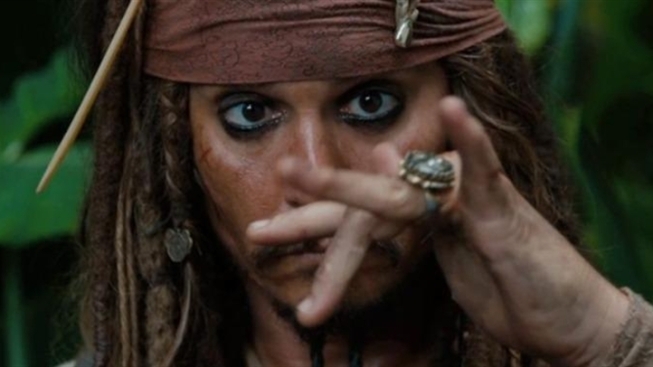 “Pirates of the Caribbean: On Stranger Tides” comes out Friday May 20, in both 3D and IMAX.